Surrounded by greenery, Gooseberry Retreats offers guests with a refreshing and enjoyable experience with delicately styled rooms adding to the engaging vibe. 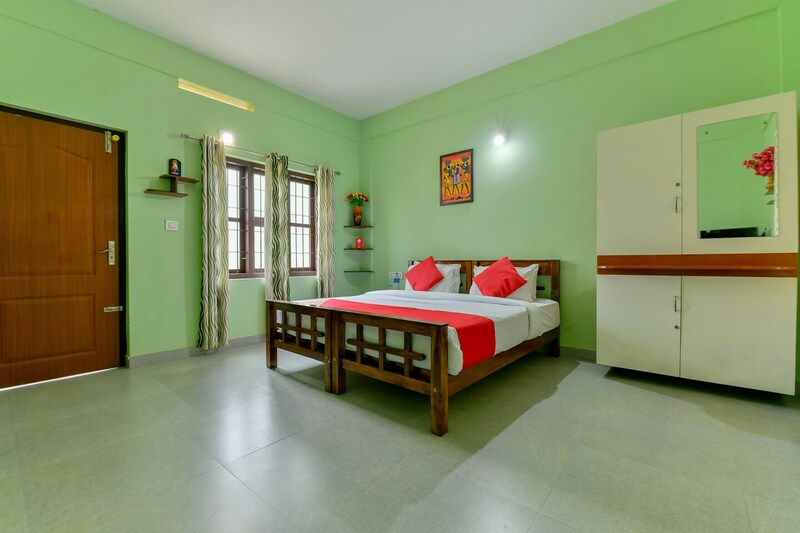 The rooms are spacious and designed with pastel coloured walls, small pieces of artwork and long flowing curtains in vibrant patterns completing the look. Plenty of natural light comes into the rooms, helping create a positive atmosphere for guests to have a relaxing stay. The views from the balconies are stunning, and immerse guests into the surrounding landscape. The Gooseberry Retreats property has CCTV camera surveillance and full power backup, so that the experience of the guests is uninterrupted.